The R35 Skyline is a dream to many and yet it has proven itself to be the ideal weapon for any boyracer. Well, the stock R35 GTR packs a lot of potential, but with many of them on the roads of Singapore, one can’t help but personalize them to suit their styles and needs, giving each car its own unique identity. What if you have not one, not two, but three awesome examples of them to admire? Oh my, are they in your rear view mirror? Make way please! 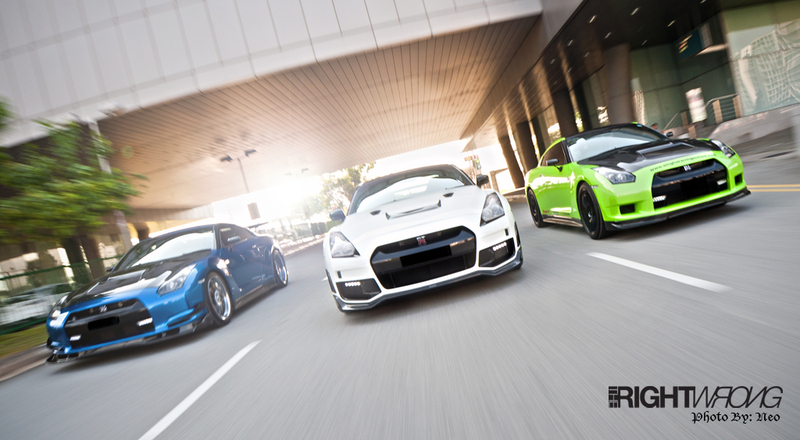 These 3 GTRs feature would be coming your way soon, right here at therightwrong.net.